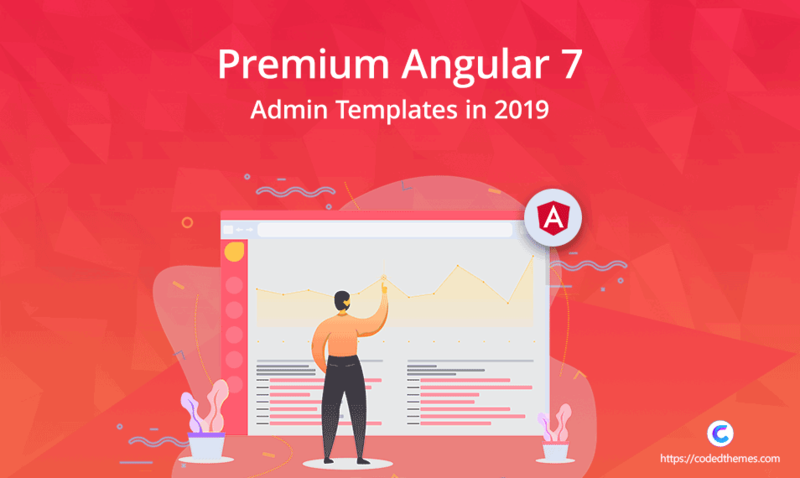 In this post, we will tell you about the top 10 best premium Angular 7 admin templates in 2019 with proper detail. Let’s check out each of them and then go for the ones that suit your needs perfectly. This simple to use template comes with a rich array of features that users will find very efficient. The developers will get access to plenty of font icons, landing pages, UI elements, and many more. The creators have added both darker and lighter versions for ease of developers.You will become successful in having brilliant dashboard template experience after installing this template. It is a premium template that has more than 10 menu styles and over 150 widgets. Without any second thought, the Gradient Able is one of the best angular admin templates. It is available in many different editions and makes things easier for the developers. This template ensures you don’t have to an admin dashboard from scratch. Equipped with many superior and perfectly designed page designs, this template can also be a good option to install. The Silk offers reusable UI elements, language translation, light/ dark color themes, and many more. Using Bootstrap 4, the framework of this template is quite easier to understand. That’s not all; you will get access to other components like pagination, buttons, alerts, Dragula, etc. It is a fully responsive template having both flexible component and CSS based framework. Mega Able is a fast and robust template that can definitely boost your performance. The clean and sharp UI design of this template has different menu layout variants. There are four extreme dashboards for making widget integration better. On top of that, there is a fully crafted widget collection added in Mega Able for providing complete flexibility. Additionally, the package includes both light + dark color along with extra variants. Completing the list of best Angular 7 admin templates without mentioning Gull’s name is impossible. It is a highly customizable admin template that utilizes NG bootstrap along with supporting AOT compilation. Some incredible features of its dashboard are invoice builder, inbox application, responsive interface, etc. It comes pre-equipped with four apps that can be integrated into the server effortlessly. Besides that, the presence of dynamic model driven navigation gives a boost to the development process. Finding a negative point in this tool is a very difficult task even if you are a pro. This powerful template equipped with many useful pre-integrated features. The main motive behind developing Gene Angular 7 is giving hassle-free development experience to the users. It is capable of handling all types of projects conveniently and effortlessly. Gene comes with a long list of innovative features like email pages, maps, text editors, and charts among others. It has a very advanced dashboard that offers a full-screen preview and equipped with user chat module. The Espire equipped with a great set of amazing features like highly responsive layout, awesome theme variations, and beautiful design. The developers can enable RTL layout by making the addition of a simple CSS class. On top of that, there are free updates of this template offered by the developers free of cost. There is very awesome support offered by this platform to the users. The customization and coding process is quite easier in this template. They deliver both Angular 7 and HTML5 version in the package to the buyers. Considered as one of the top-grade Angular admin templates, the Chankya is a brilliant tool that equipped with the latest version of Bootstrap 4. It provides access to three types of design layouts, including Boxed, Collapsed, and RTL versions. The thing that makes it better than the other is its brilliant charts & graphs feature having easy pie, Google charts, Ng2, and Ngx. The complete interface is fully organized to ensure a quicker setup. This admin template based on the specifications of Google’s Material design. The Fuse can be a brilliant option for both low as well as larger projects. You will get access to some of the most advanced features. The platform is known to offer premium support thanks to their highly professional and experienced support team. It comes with more than 20+ layered and organized files that you will find very useful in the development process. Also, the template has many built-in applications like mail, file manager, contacts, todo, e-commerce, and scrum board. We will end our list with a super flexible and modern responsive Angular 7 template. The Climber UI can be customized for all types of web applications. It includes an admin dashboard, project management system, custom admin panel, and CMS. The UI components of this premium angular 7 admin template are form group, radio buttons, task board, todo list, vertical timeline, swither, form description, checkbox, and many more. It is a brilliant admin template that you can install for having a sophisticated experience. Also Read- Bootstrap 4 Admin Templates: How It Will Save Your Development Time? We believe that you have already selected one of these Angular 7 admin templates. Do you have any other suggestion in your mind? If yes, then please tell us in the comment section.